Find out how Time Swap can help you and the person you look after. 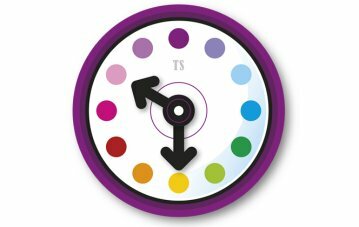 Time Swap lets local people share time and talents. Members get an hour’s help for every hour they're able to give to someone else. The scheme has many members is growing all the time. 4227 hours have been exchanged in Erewash alone. Every new member to the scheme get’s a free ‘hour’ to start them off. There’s no minimum amount of tine you have to put in. We know people’s lives change and you may be able to spare more time one month than you can the next. There’s no obligation. Read our recent blog to find out how Lynn, who cares for her husband John, is using the scheme to support them both. You can also read the Time Swap Carers leaflet to find out more. Carers can benefit from the scheme in many ways - such as getting help from another member with tasks like gardening, cleaning, a lift to a hospital appointment or even someone to sit with the person you look after for an hour. You can give back time to the scheme by doing something you enjoy - for example if you enjoy a walk to get some fresh air, you can turn that into a Time Swap by talking someone else's dog along with you if they can't get out to walk it. The possibilities are endless! What you give to 'earn time' can be something you already do in your everyday life, something you enjoy or something you're good at. Drop in sessions are held at venues around the county, please contact the Time Swap Team for details.